We couldn't be more happy and pleased with our choice to pick Fotografia Sitges for our wedding. From the first time we made contact they have been extremely professional and made us feel completely secure in our choice. When we arrived in Barcelona for our wedding, we had never actually met Ramiro. Before we only had a conversation with him on Skype. During our conversation we felt pretty confident we liked him, but there is no way to be completely sure. When we finally met him he made an even better impression than what we possibly could have hoped for. During our entire wedding day he made us feel so comfortable. Ramiro was so calm and nice to be around, and had great ideas for the pictures. Half of the time we didn't even notice he was there, and all our guests have commented on how nice he was. As some people are more shy in front of the camera this was just perfect. The results are wonderful and we now have gorgeous pictures to remind us of the day for the rest of our lives. He made all of our wishes come true. We now have beautiful pictures of the entire day, from getting ready, to the late night party; in-the-moment shots of all of our guests; pictures of the surroundings and wedding set up and wonderful pictures of just the two of us. He gave us everything we could have hoped for and then some. 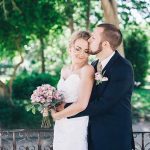 We would highly recommend Fotografia Sitges and Ramiro to everyone who is on the search for a great professional wedding photographer. The result will be a wonderful experience on your wedding day and memories you will cherish forever. Ramiro - thank you so much! One of our best wedding decisions was choosing Fotografia Sitges. I could of never asked for a better photographer and I am so thankful that our special day was captured so beautiful. You guys truly rock!! We are in love with every single one of our photos, I can’t put into words how grateful we are. I would highly recommend them. 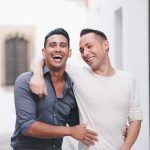 My husband and I were visiting Sitges were we met the year before and wanted a small photo session. Ramiro was able to accommodate us with such a short notice. We requested the pictures to be candid and natural and received exactly what we were looking for. He was very professional throughout the session and made us feel comfortable. Thank you again. We could not fault the service we received from Fotografia Sitges. From the beginning, Ramiro and Ola were the utmost professionals. Whether it be communication before the big day, discussing ideas or general queries, they were always there to help and advise immediately. Ramiro was brilliant on the day of the wedding, making us feel comfortable straight away (especially given we are not big picture people.) When the unexpected rain showed up, he was quick to alter our plans carefully and find alternative shooting locations so as no to let the weather spoil our day. Cannot thank you enough. Our pictures were absolutely stunning! 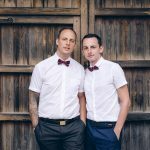 If you are looking for a Wedding Photographer, our recommendation will always be these guys! Thank you so much, Ramiro, for making us feel so relaxed during the photo-session before our wedding. You are an amazing photographer, and we can't wait to see the final pictures! And thank you Ola, for saying hi to us and wish us luck on our wedding day even though you were occupied with another wedding. We will definitely recommend Fotografía Sitges! 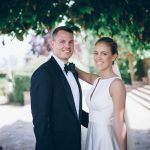 "My husband, David, and I were absolutely delighted with the wedding photographs that were captured by Ramiro and Ola. 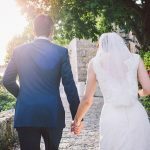 In planning our international wedding, David and I had to rely on the guidance of our wedding planner in selecting vendors. We had the opportunity to speak with them before making our photographer selection and were very reassured by their friendly demeanor and impressive portfolio. As our wedding day approached, we spoke several times to finalize various aspects. They made a genuine effort to understand our vision and were able to tailor their approach to meet our unique needs. 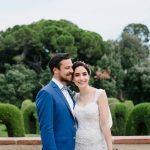 Fotografia Sitges exceeded our expectations and I would happily recommend them to friends and family." "Ola and Ramiro were the perfect find! We searched far and wide for a photographer that we had a rapport with but we were also looking for something a little less posed, more creative and an eye for special un-clichéd detail – that’s what we found! They were both so happy, friendly and willing on the day of the wedding and we’ve had dozens of compliments on our photos. We really feel they captured the mood, setting and love from the day so well. We couldn’t be happier! " "Ola was fun and unique with her ideas and had everyone laughing and enjoying themselves. She was energetic, buzzing around the whole party to ensure she captured every moment. It was almost like she was one of the guests; she just fit in from the second she arrived, laughing and encouraging amazing memories... All the pictures from our wedding are fabulous. I am totally in awe of Ola’s talent and flare for photography and I would highly recommend her to the World. She completely captured the essence of our big day in still photographs. 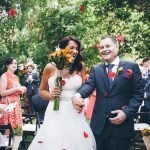 Friends and family members who were unable to attend our wedding have commented how they have never seen such creative pictures and that they feel like they were with us on the day because the pictures tell the whole story ..."